24 Oz. 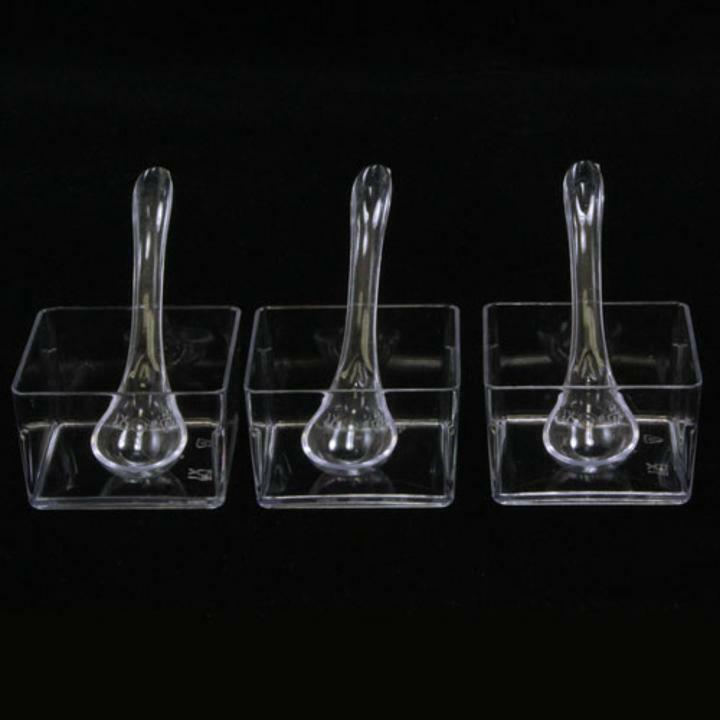 White Thin Square Bowls - 10 Ct.
Give your culinary marvels the presentation platform they deserve with our miniature condiment set! 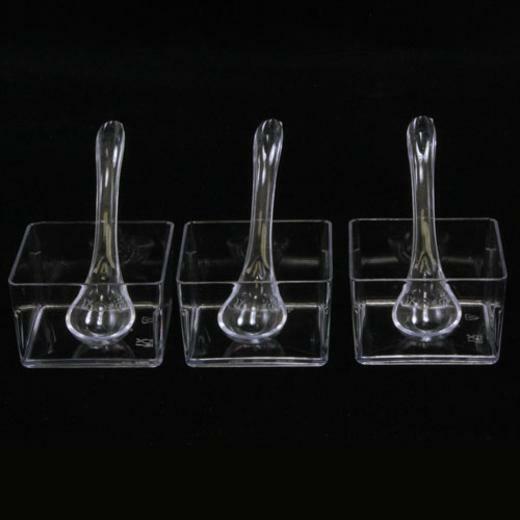 Each set includes 3 premium plastic trays, 9 cups, and 9 spoons. Fill with a sampling of your favorite desserts, soups, sauces, and condiments. Perfect addition to any banquet or buffet table! Dimensions: Tray 5 1/4" x 1 3/4" x 1/2"; Spoon 3"; Dishes: 1 3/4" x 1 3/4" x 1"
L: 5.0 in. W: 2.0 in. H: 4.0 in.